The Reverend Canon Cyril Lomax M.A. 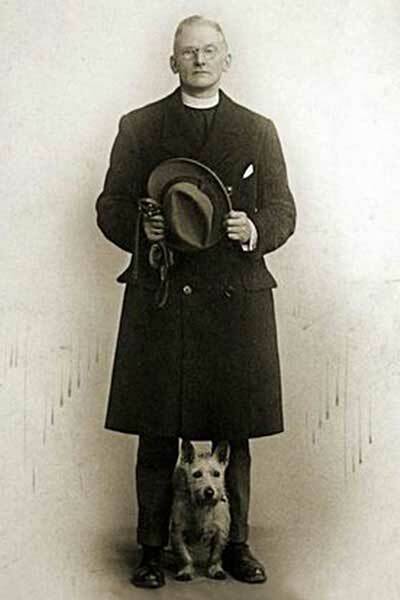 Canon Cyril Lomax was born in 1871 at Marton, Cheshire and was educated at Keble College Oxford, graduating with a B.A. in History. He came to Washington Holy Trinity Church as Assistant Priest in 1897 and was appointed Rector in 1899, a post he held until 1946. 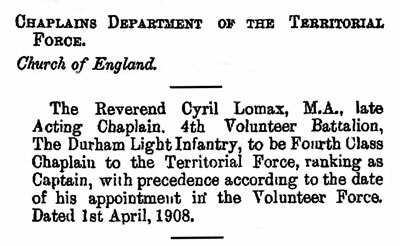 In 1900, he became Chaplain to the 4th Volunteer Battalion of the Durham Light Infantry, which was renamed the 8th Battalion in 1908. Their association lasted almost 25 years. 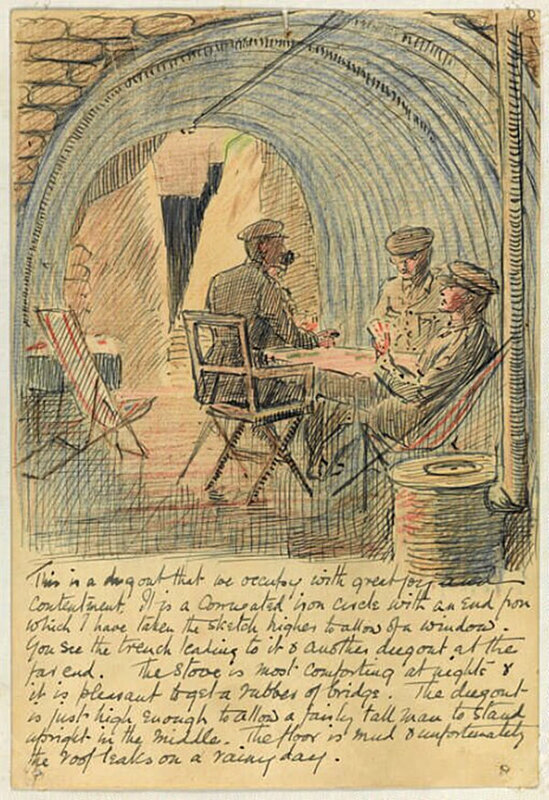 The 8th Battalion was part of the 151st Infantry Brigade which crossed to France in April 1915 but Canon Lomax did not accompany them, probably due to Parish commitments e.g. 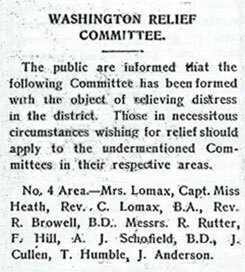 see above Washington Relief Committee image. 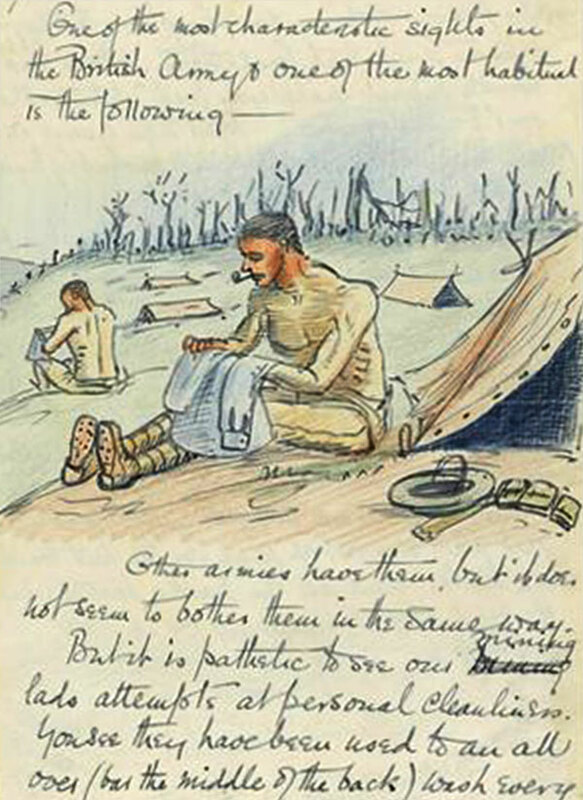 Cyril Lomax joined his Battalion a few months later in July 1916 and famously wrote about his experiences in beautifully illustrated letters. The Washington & District Volunteer Record, First Edition, Friday, Sept. 11th, 1914 makes fascinating reading. You'll find it at : What's Where; Misc. 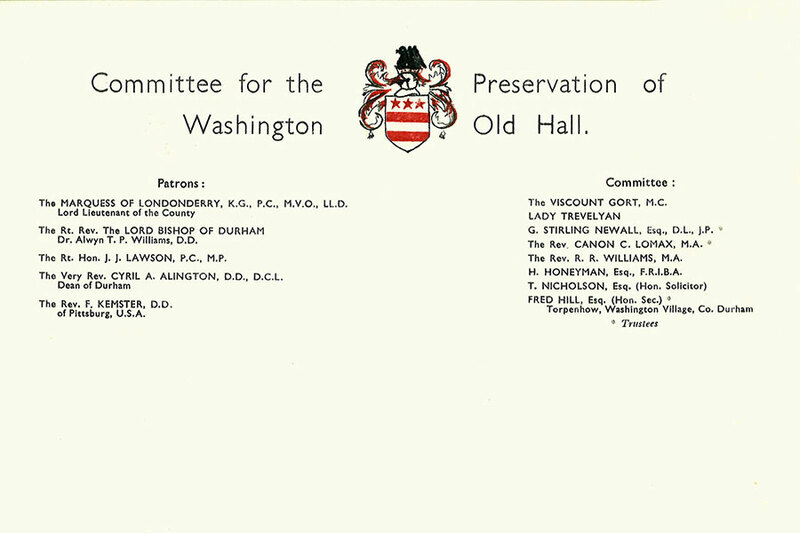 ; Washington's Volunteers. 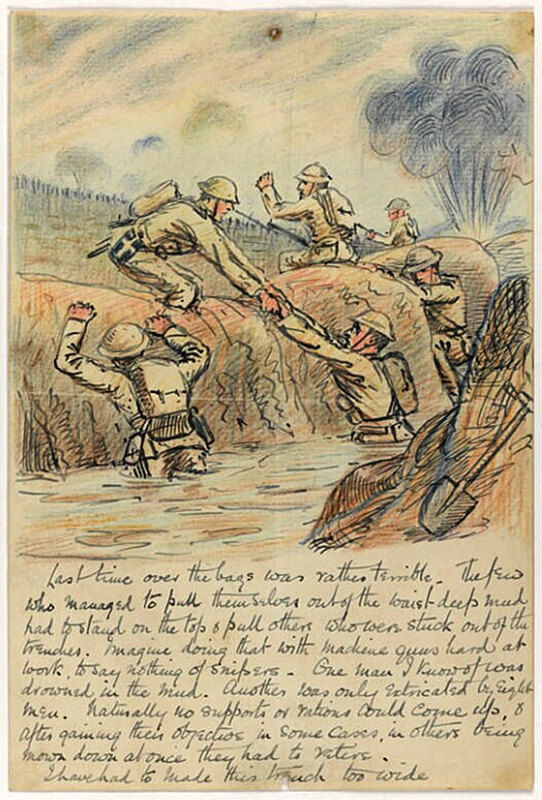 described the reality of life in the trenches." 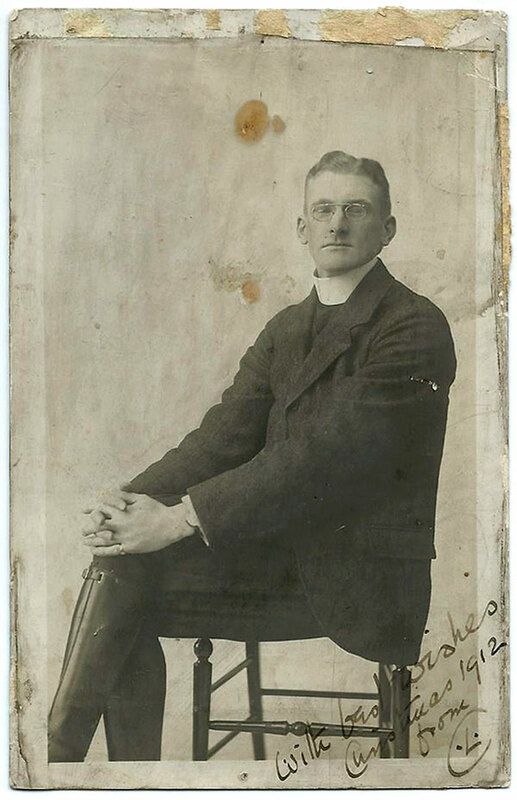 Quotation from local historian, Bill Arbuckle: "During World War I Lomax served in France as chaplain to the 8th Battalion Durham Light Infantry and was at the Battle of the Somme from July to November 1916. 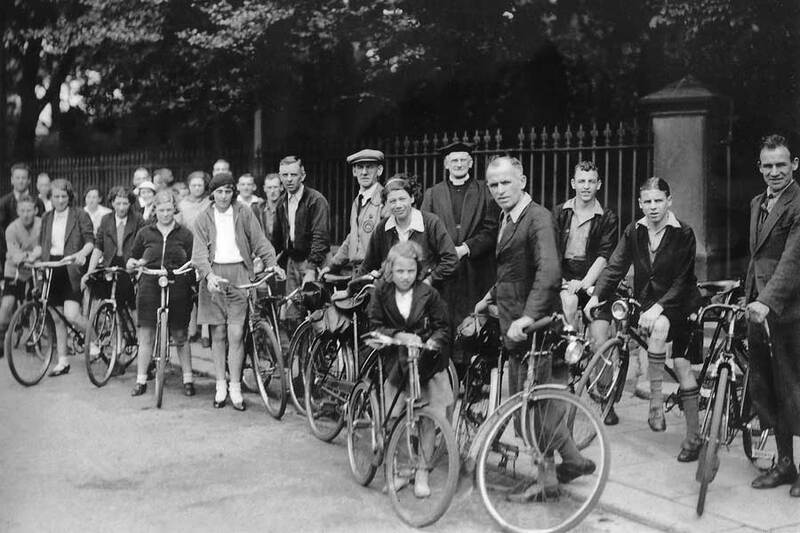 After the war Cyril resumed parish duties and was a member of the Welcome Home Committee, which commissioned the Washington War Memorial. 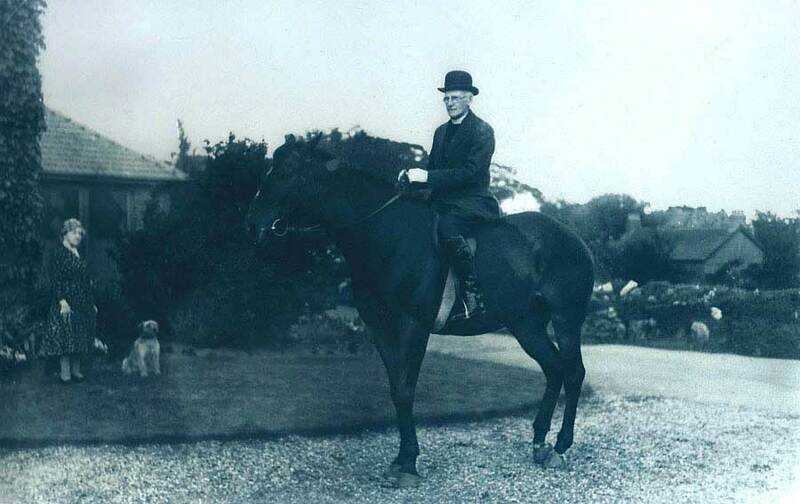 For many years he was President of the Washington Branch of the British Legion and became an active founder member of the Washington Old Hall Preservation Committee, which was able to save the Hall from demolition." 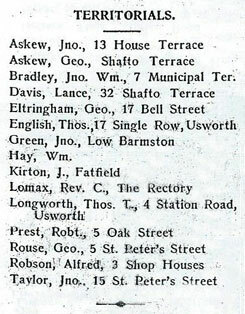 More information about the Old Hall and its Preservation at: What's Where; People; Fred Hill. Initial 'C' in the shape of his jaw.